Housing is the cornerstone of a strong economy, impacting everything from local school systems to the state’s business climate. That understanding is what led the Commonwealth of Virginia to create the Virginia Housing Development Authority (VHDA) in 1972. Since then, the self-supporting, not-for-profit organization has focused on the mission of helping Virginians attain quality, affordable housing. The mission takes on many forms. Perhaps best known for affordable mortgages for first-time homebuyers, VHDA has also financed more than 152,600 rental units since its inception. The organization plays an active role in housing education, providing thousands of first-time homebuyer classes each year, and online educational resources for renters and homebuyers. VHDA also offers programs and grants to help people with disabilities and the elderly make their homes more livable. * Source: VHDA data; calculations based on formula developed by the National Association of Homebuilders. Late December 15, Speaker of the House Paul Ryan (R-WI) unveiled tax extender legislation, the Protecting Americans from Tax Hikes Act of 2015, that would renew and make permanent some of the expired tax provisions, including the 9 percent minimum Housing Credit rate, and extend for either five years or two years other expired tax provisions. The bill—a major victory for NCSHA and other Housing Credit industry stakeholders—is the result of weeks of negotiations among leaders of both parties and both chambers. We expect the House to vote on the bill either Thursday or Friday of this week and to separately consider within the same timeframe the omnibus spending bill Ryan also announced last night. The Senate will then combine the two bills for consideration soon thereafter. Both chambers are expected to pass the measures. In the early hours of the morning on December 16, Speaker of the House Paul Ryan (R-WI) unveiled the Fiscal Year (FY) 2016 omnibus spending bill, providing $1.1 trillion in funding for government operations, including funding for U.S. Department of Housing and Urban Development (HUD) and U.S. Department of Agriculture (USDA) Rural Housing Service programs. The bill is a major victory for NCSHA, providing $950 million for the HOME Investment Partnerships (HOME) program, $50 million more than its FY 2015 level. In an environment of constrained spending, an increase of $50 million is a notable accomplishment. NCSHA and other HOME program allies have worked together this year to defeat the earlier House proposal to cut direct HOME appropriations to $767 million and transfer $133 million from the Housing Trust Fund (HTF) to HOME and the earlier Senate proposal to cut HOME by 93 percent to just $66 million. The HOME funding increase in the FY 2016 omnibus spending bill comes entirely from new appropriations, leaving the HTF intact. The Mortgage Bankers Association yesterday released a white paper outlining the importance of--and recommendations to expand--affordable rental housing. MBA convened a Task Force of leaders in the commercial/multifamily finance industry to study the range of issues that surround affordable rental housing and recommend steps to enhance its availability. The Task Force sought to: (1) highlight the extent and impact of the current shortage of affordable rental housing, drawing on data and research; (2) be a catalyst for a holistic public discussion on affordable rental housing; (3) recognize the nature of the challenges and complexities associated with finding solutions to address affordable housing concerns; and (4) recommend principles that should shape how we think about affordable rental housing and improvements to existing programs that have supported the availability of affordable rental housing. "The number of American households who rent their homes stands at an all-time high," said Task Force Chairman Hugh Frater, chairman and former CEO of Berkadia, one of the nation's largest multifamily lenders. "With a quarter of renter households paying half of their incomes on housing, the need to expand the availability of affordable rental housing has rarely been greater." Here’s a great affordable housing resource that you might not be aware of. It’s the National Housing Conference (NHC), a non-profit that got its start more than 80 years ago, and today still remains dedicated to helping ensure safe, decent and affordable housing for all Americans. The research division of NHC, the Center for Housing Policy, concentrates on research that can help broaden both stakeholder and consumer understanding of America’s affordable housing challenges. The NHC also examines the impact of policies and programs developed to address these housing needs. Using evidence-based advocacy, the NHC develops resources, ideas and policy solutions to shape an improved housing landscape. Many of their reports remain timely and relevant long after their initial release. Although the NHC is a membership organization, you don’t need to be a member to take advantage of the wealth of information found in their publications and policy agendas. 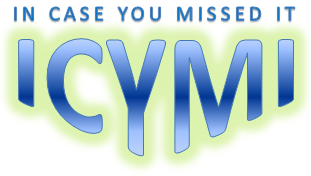 Check out this site and let us know what you find helpful. As we approach the end of 2015, we want to take a moment to update our partners and stakeholders about some of the recognition VHDA has earned from our affordable housing peers during the year. First, Jim Chandler was inducted into Affordable Housing Finance magazine’s Affordable Housing Hall of Fame. He received the award for his longtime service, which includes his role as the director of VHDA’s Low-Income Housing Tax Credit program for the past 18 years. Jim was also recognized for his dedicated efforts to encourage the use of green building strategies. Second, Michele Watson, our Director of Homeownership Strategic Relations, received the Northern Virginia Association of Realtors® Affiliate of the Year Award. This award is presented to an affiliate member who has demonstrated dedicated service to NVAR through volunteering, participation in committees and providing financial support through direct sponsorship. In addition, VHDA Senior Community Housing Officer Bruce DeSimone was honored with the President’s Award from the Virginia Chapter of the American Planning Association. Bruce was chosen based on his years of dedication to developing and presenting multiple courses for planners on housing and housing finance issues, hosting chapter events and his strong support of planning education. Finally, the entire authority was recognized for outstanding achievement at NCSHA’s annual conference! 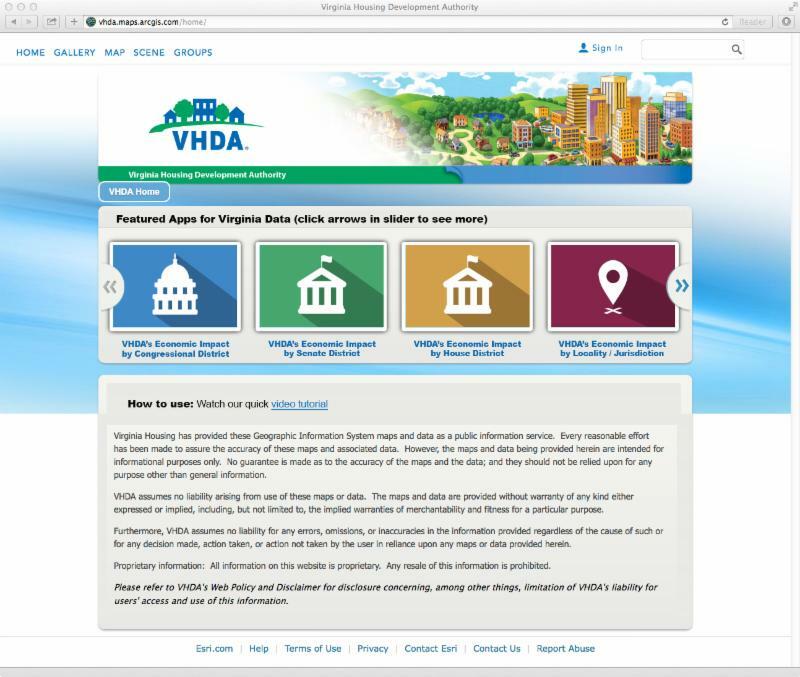 Our VHDA Map Gallery Apps won in the “Technology” category. This app allows our partners and elected officials to easily see the economic impact of VHDA’s programs in their part of the state. It also helps us tell our story about the difference we’re making in Virginia through our housing programs. Each of these achievements have contributed to making 2015 a great year for VHDA when it comes to our mission of helping put quality housing within the reach of every Virginian. As we gear up for 2016, we look forward to accomplishing even more. APPLE, GOOGLE, TESLA ... HOW ABOUT YOU? Millennials turned cities ‘hipster.’ Can they do the same for the suburbs? A bill introduced in the House of Representatives would allow Fannie Mae and Freddie Mac to consider alternative credit-scoring models beyond the FICO credit score the government-sponsored enterprises currently use when determining what loans to purchase. The bill, which is entitled the “Credit Score Competition Act of 2015,” was introduced Thursday by Rep. Ed Royce, R-CA., and Rep. Terri Sewell, D-AL. According to a joint release from Royce and Sewell, the bill would enable Fannie and Freddie to consider other credit-scoring models, which would level the playing field for borrowers whose credit doesn’t meet FICO’s standards and make it easier for them to buy a home. Multifamily housing construction has accelerated to its fastest pace in nearly 30 years but has still not been sufficient to meet surging demand. Rental vacancy rates are now at their lowest point since 1985 and inflation-adjusted rents are rising 3.5 percent annually. With renter incomes stagnant, last year was another record-setting year in the number of renters paying more than 30 percent of their income on housing costs, according to the 2015 report on rental housing released today from the Harvard Joint Center for Housing Studies at the Newseum in Washington, D.C. While lower-income households are most likely to experience these cost burdens, the report finds that rental cost burdens increasingly afflict even moderate-income renters earning as much as $45,000 per year. A new Pew Research Center analysis said after more than four decades of serving as the nation's economic majority, the American middle class is now matched in number by those in the economic tiers above and below it. The analysis, The American Middle Class is Losing Ground (http://www.pewsocialtrends.org/files/2015/12/2015-12-09_middle-class_FINAL-report.pdf), authored by Rakesh Kochhar, associate director of research, and Richard Fry, senior researcher, said the percentage of American adults in middle-income households fell to less than 50 percent in 2015, compared to 61 percent in 1971. The report said in early 2015, 120.8 million adults were in middle-income households, compared to 121.3 million in lower- and upper-income households combined, a demographic shift that Kochlar and Fry said could signal a tipping point. "The hollowing of the American middle class has proceeded steadily for more than four decades," the report said. "Since 1971, each decade has ended with a smaller share of adults living in middle-income households than at the beginning of the decade." Join HUD’s Office of Policy Development and Research on January 12 for a thought-provoking discussion exploring how HUD’s policies have evolved over the last 50 years and what direction they may take going forward. Visit the HUD website for more information. After months of deliberation both the House and Senate yesterday by wide margins passed multiyear transportation legislation—the Fixing America's Surface Transportation Act (FAST). President Obama is expected to sign the bill before current authorization expires at the end of today. FAST includes several housing-related provisions that have already won bipartisan support and passed the House in separate bills, including a pay-for-success demonstration program to improve water and energy efficiency in HUD-assisted multifamily developments, triannual recertifications for fixed-income households, a modification to the Low-Income Housing Preservation and Resident Homeownership Act (LIHPRA) to make it easier for owners of properties preserved under LIHPRA to access the equity in their properties, and language designed to exempt more lenders working in rural areas from Consumer Financial Protection Bureau (CFPB) mortgage regulations. The Data and Analytics division of Black Knight Financial Services, Inc. (NYSE: BKFS) released its latest Mortgage Monitor Report, based on data as of the end of October 2015. This month, Black Knight looked at high loan-to-value (LTV) products – greater than 95 percent LTV – in light of the GSEs’ reintroduction of high-LTV products at the end of 2014, coupled with the 50-basis-point reduction in FHA annual mortgage insurance premiums earlier this year. Despite the renewed availability of GSE products, the data shows that high-LTV lending is still primarily the province of the FHA/VA. As Black Knight Data & Analytics Senior Vice President Ben Graboske explained, the FHA/VA has been the primary driver in what is an expanding segment of the purchase origination market. HLP, Freddie Mac, the Hispanic Action Outreach Network, and NFL Hall of Famer Tim Brown announced a partnership designed to help low and moderate-income African-American and Hispanic families buy their own homes. The parties are joining together to form a financial education project called the American Dream Homeownership Initiative. The American Dream Homeownership Initiative will host a series of financial education events in eight cities over the next 12 months, starting Dec. 5 in Oakland, California. Brown, who starred as a wide receiver with the Oakland Raiders and now runs the Tim Brown Foundation, is acting as the group’s lead spokesperson. According to a release from HLP, a national non-profit organization, anyone can attend the free, one-day financial education program on Dec. 5, which is designed to help them understand how to qualify to buy a home. VHDA was presented with an Award of Excellence for Management Innovation (Technology Category) at the NCSHA 2015 Annual Conference & Showplace for our Map Gallery Apps. These custom applications show the economic impact of our housing programs in various parts of the state, displaying the data in an interactive, user-friendly map format. The Map Gallery Apps, including a short video tutorial, can be seen at vhda.com/Impact. Throughout the years, VHDA has partnered with Catholics for Housing, Inc. (CFH), in a variety of ways to create housing opportunities. In October, the non-profit presented VHDA with the inaugural Fr. Gerry Creedon Housing Award for outstanding service to the housing industry. (Fr. Creedon is a founder of CFH.) The award was presented at the CFH 2015 Gala. Moody's Investors Service (Moody's) released a report predicting a stable financial outlook in 2016 for state HFAs. The report concludes that the continued growth of state HFAs median margins (net revenue/total revenue) and strong loan production indicates a stable outlook for fiscal year (FY) 2016. Moody's says HFAs must begin to rebuild their balance sheets by adding more mortgage loan assets to their portfolios to achieve a positive outlook. In FY 2014, HFAs' median margins reached a post-crisis high, surpassing 12 percent. Moody's predicts this upward trend will continue in FYs 2015 and 2016. According to the report, while the trend will continue, median margins will not surpass 15 percent because short-term interest rates will not have an impact until later in FY 2016. The report places an emphasis on HFAs' margins, explaining that margins between 10 and 15 percent support a stable sector outlook, while margins over 15 percent can indicate a positive outlook, and margins under 10 percent could drive a negative outlook. The Federal Housing Finance Agency (FHFA) today announced that the maximum conforming loan limits for mortgages acquired by Fannie Mae and Freddie Mac in 2016 will remain at existing levels, except in39 high-cost counties where they will increase. In most of the country, the loan limit will remain at $417,000 for one-unit properties. The Housing and Economic Recovery Act of 2008 (HERA) established the baseline loan limit at $417,000 and mandated that, after a period of price declines, the baseline loan limit cannot rise again until home prices return to pre-decline levels. The $417,000 loan limit will stay the same for 2016 because FHFA has determined that the average U.S. home value in the third quarter of this year remained below its level in the third quarter of 2007. Detroit-based Quicken Loans has unveiled a new self-service website aimed at speeding up the mortgage approval process and cutting down the need to talk with a human loan officer. The new Rocket Mortgage website allows prospective borrowers to start and finish a mortgage application entirely online and get approved in as little as eight minutes, the company said last week. A pioneer in Internet-based mortgage lending, Quicken Loans has traditionally let borrowers begin their application process online and get loan quotes, but it still required a call at some point with a live Quicken employee. "This is a massive sea change in the home-lending world," said Dan Gilbert, founder and chairman of Quicken Loans. "I'm not aware of any other lender where you can apply for your mortgage, look up your interest rate, become automatically approved and have interfaces into assets, income and property values" all online, he said.